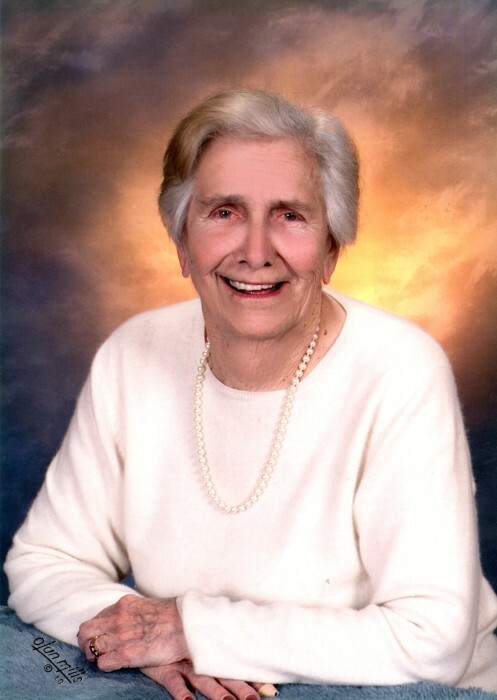 Julia “Judy” Hill Kane passed away on March 29 at the Baptist Home at the age of 95. A cherished mother, grandmother and great-grandmother, she was a lifelong Rhinebeck resident and devoted her entire life to her family and to her community. After graduating from Rhinebeck High School and Skidmore College, she worked for a brief time at IBM in Poughkeepsie before marrying John B. Kane in 1946 and soon after began raising their family. Judy was very proud of being one the first women elected to the Rhinebeck Board of Education in the 1960’s, and helped guide the board during the years that the Chancellor Livingston School was planned and built. An enthusiastic golfer, she devoted many years on the Board of Directors of the Red Hook Golf Club and was its longtime treasurer. She loved competition and, especially, playing the ladies Supper Club. Judy happily played golf well into her eighties. Judy also served on the vestry of the Church of the Messiah (again the first time for a woman to do so), and volunteered for the church in many capacities over the years: as a volunteer bookkeeper, patron of the Food Pantry, organizer of many fundraisers, and, most recently, cashier for the third Thursday luncheons. Judy is predeceased by her husband, John; her siblings Harry H. Hill, Helen Hill Schoonmaker and Louise Hill Carlin; and her nephew, Thomas Schoonmaker. She leaves behind her five children; John B. Kane, Jr. (Jill), David R. Kane (Lucie), James M. Kane (Judy), Sarah V. K. Kane and Paul J. Kane (Colleen) as well as five grandchildren, three great-grandchildren, and many nieces and nephews. Friends may call on Monday April 8 from 4 to 7 PM and the Dapson-Chestney Funeral Home, 51 West Market street, Rhinebeck. Funeral services will be held at the Church of the Messiah on Tuesday, April 9 at 2 PM with Fr. Gallagher and Fr. McKeon concelebrating. Inurnment will follow at the Rhinebeck Cemetery. It was Judy’s heartfelt wish that in lieu of flowers, donations be made to the Church of the Messiah Food Pantry, 6436 Montgomery Street, Rhinebeck, NY.